The common carotid artery, above the clavicle, is exposed through a small transverse incision using local anesthesia. The artery is punctured and a sheath is inserted over a guide wire. The patient is systemically heparinized. Percutaneous access is obtained to the femoral vein and a sheath is inserted. The arterio-venous shunt line is connected between the Transcervical Arterial Sheath and the Venous Return Sheath. A carotid angiogram is obtained thru the Transcervical Arterial Sheath and the carotid stenosis is measured and marked. The common carotid artery is clamped proximal to the sheath entry site and the patient’s tolerance to clamping is assessed by interaction with the patient awake. Flow reversal is controlled by adjusting the valve on the flow controller. A guide wire is introduced through the arterial sheath and passed across the lesion. A stent of appropriate size is passed over the guide wire and positioned across the lesion. The stent is deployed and secondarily expanded with a balloon while flow reversal is taking place, allowing any thrombo-atheromatous debris to be carried away through the arterio-venous shunt. A completion angiogram is obtained to confirm the anatomic result. The catheters, guide wire and sheaths are removed, and the arterial puncture site is closed with a Prolene suture. The small neck incision is closed with a sub-cuticular suture and the patient is returned to a hospital room for overnight observation and discharge the following day. 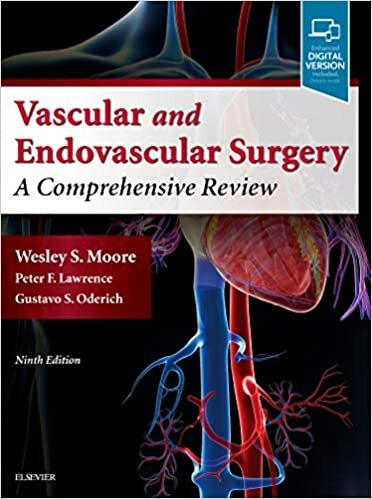 Moore's Vascular and Endovascular Surgery: A Comprehensive Review 9th Edition By Wesley Moore, MD Using an easy-to-read, user-friendly format and hundreds of review questions that facilitate effective studying, Vascular and Endovascular Surgery: A Comprehensive Review, 9th Edition, contains the essential information you need for exam success and daily reference. 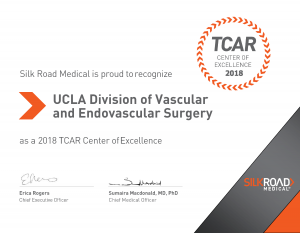 Dr. Wesley Moore and a team of international experts cover everything from foundational concepts to the latest developments in the field, with each specialist providing a complete summary of a particular area of expertise. Extensive updates throughout the text keep you current with all that’s new in this rapidly expanding field.